Every year, volunteers donate thousands of hours of their time to make Scovill Zoo one of the very best in Illinois. To prepare for their important roles at the zoo, volunteers complete 9 weeks of continuing education classes taught by Volunteer Coordinator Ben Rapson and Assistant Zoo Director Dave Webster. This program allows volunteers to practice handling our animal ambassadors, learn AZA-approved guided tour messaging, and brush up on zoology and conservation topics important to the zoo. The training also ensures that team members have the tools they need to make each visitor’s experience educational and enjoyable. 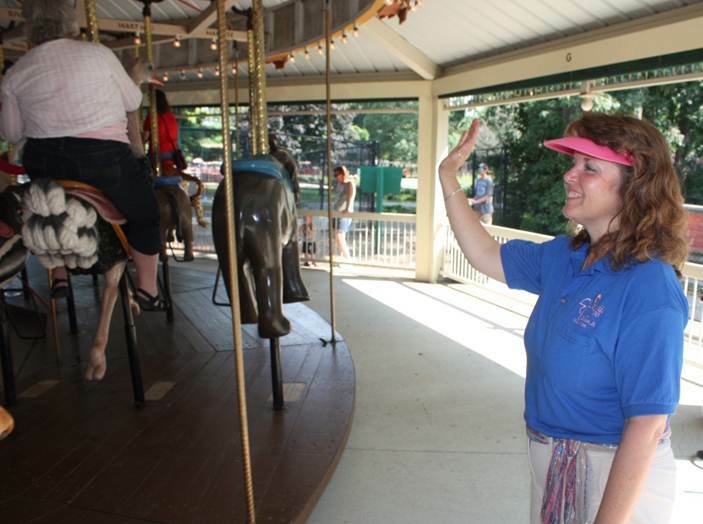 Even volunteers who operate the train and carousel find the classes beneficial, as they are often asked questions about the animals before and after the rides. Volunteer training classes are generally held in late January. Stay tuned for details about January 2019 sessions. Would you like to drive the Z.O. & O. Express or give riders a spin on the Endangered Species Carousel? Do you want to learn more about your community’s zoo and its amazing animals? 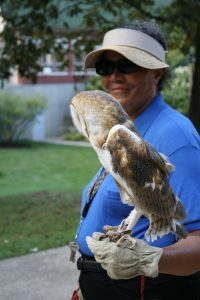 Opportunities range from Mobile Zoo presentations to guided tours to helping at special events. No previous experience required! To volunteer at Scovill Zoo, complete the Zoo Volunteer Application and return to the Scovill Zoo Office. For more information, contact Director Ken Frye at 421-7435. Be a friend of Scovill Zoo by volunteering your time to beautify and enhance the facility! Over the years, teams from Caterpillar, Team Soy, Ameren, and ADM, for example, have helped stain decking, clean the facility, rake leaves, and staff our many fun events, like Boo at the Zoo. Please consider this short- or long-term volunteer opportunity! Call the zoo at 421-7435 to learn more.